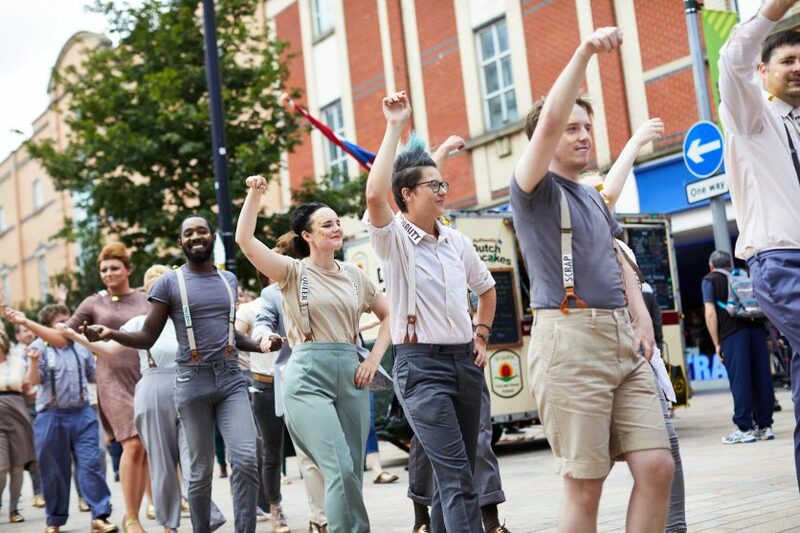 In order to increase impact and engagement with Performing Gender in Leeds, Yorkshire Dance wanted to reach out to LGBT communities in the city. We wanted a chance to explore dance, gender and activism with local people, specially those people who we might normally not encounter in a dance context. Thanks to generous funding from Leeds Inspired, we’ve already recruited 14 people through a number of dance and discussion sessions led by the fantastic artists Phil Sanger and Fernanda Prata. The local dancers have a really broad range of real-life experiences and this is proving incredibly rich ground for sharing, connecting and creating. The group will take part in three workshops at Yorkshire Dance in early summer, exploring ideas about physical gender expression in dance. In one of these workshops they will work with the five international Performing Gender artists when they come to Leeds. They will also attend the international showcase on 1st June 2018. Phil and Fernanda both have extensive performance careers, experience in making professional work, as well as a personal interest in gender. Shared planning with UK artist Sophie Unwin ensures further connection between two projects. Another exciting part of the project is the recruitment of two local young artists who will assist Phil and Fernanda whilst working with the group and who will also take part in the creation of new performance work in the autumn by one of the Performing Gender artists alongside 8 other local young dance makers (see call out). In the autumn, the Gender Moves group will gather again to create a short new dance ‘sketch’ based on the earlier workshops’ conversations and research and on their own experiences. The work will be performed informally to an invited audience during the week of the visit to Leeds by one of the Performing Gender artists.